With the car idling and most of the core sensors configured, we needed to keep moving forward in our electronics configuration in order to get to a point where we could actually drive the car. Technically we could drive the car right now, but without a functional dashboard that wouldn’t be a very good idea – it’s kind of hard to drive with a laptop in your… lap. The RaceCapture application runs on most computers as well as mobile devices. 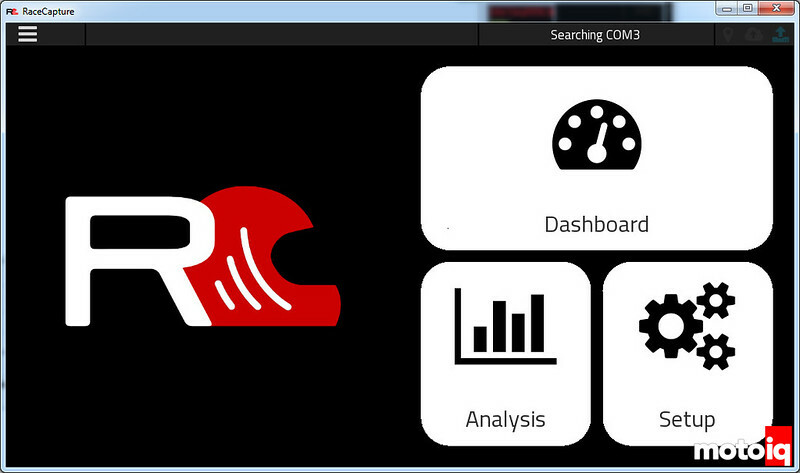 The RaceCapture application is also what is used to configure the device. Our original intention was to put the RaceCapture/Pro MK2 between our dashboard and our ECU to massage information coming in via CAN and to retransmit it later. We will end up still running the ECU to the RaceCapture, but we will also run the ECU directly to the AEM CD-7 dash as well. We’ll get to that in a moment. 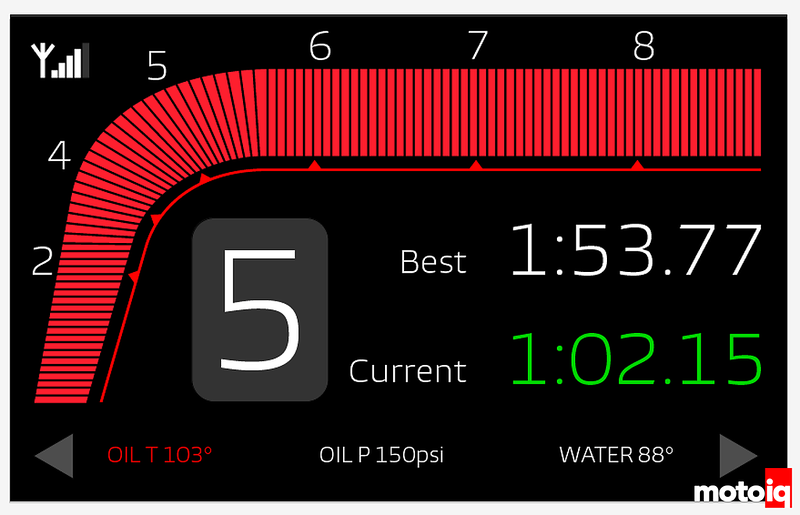 The RaceCapture is also going to serve as our speedometer (via the GPS). The RaceCapture app is also designed to serve as a live, customizeable dashboard that can display real-time data as well as handle predictive lap timing duties. It has various gauge screens, tachometer screens, and other screens that can all be tailored to your needs. Newer RaceCapture models have Bluetooth and/or WiFi embedded. With the MK2 and a Bluetooth module, you can pair a tablet and use it as a dashboard. In our case, however, we’d be using the AEM CD-7 with the RaceCapture serving as our logger. Just like with the Elite 2500 ECU and the Smartwire, the first thing we did was make sure we had upgraded to the latest RaceCapture firmware. The RaceCapture/Pro MK2 can actually be powered directly by our laptop’s USB, which can make things a little tricky when you are trying to power cycle the device and forget it’s still powered by the USB after you shut the car completely off. We need to tell the RaceCapture what CAN channels to pay attention to. The Autosport Labs RaceCapture can read whatever CAN channels you want. But you have to tell it which ones to care about. Tell the RCP what the baud rate (1M[egabit] for Haltech) is on which CAN channel (we’re using CAN bus #1 as the input from the Haltech) and then start configuring mappings. I think my buddy Jay took a photo of your car and sent it to me! I was supposed to reach out to you but never got around to it. Small world! Small world indeed. I have been keeping up with your build for a while. Very envious of the wiring job. The CD-7 is a great product but it is so new that there isn’t much guidance on how to customize. We may be swapping to an AIM product. If you need any help with your CD-7 just let me know. Happy to dig into it. AEM tech support is also super helpful. Let me know next time you come through Atlanta! Hope you are doing well with your build. Think we are dropping the CD7 in favor of AIM product.